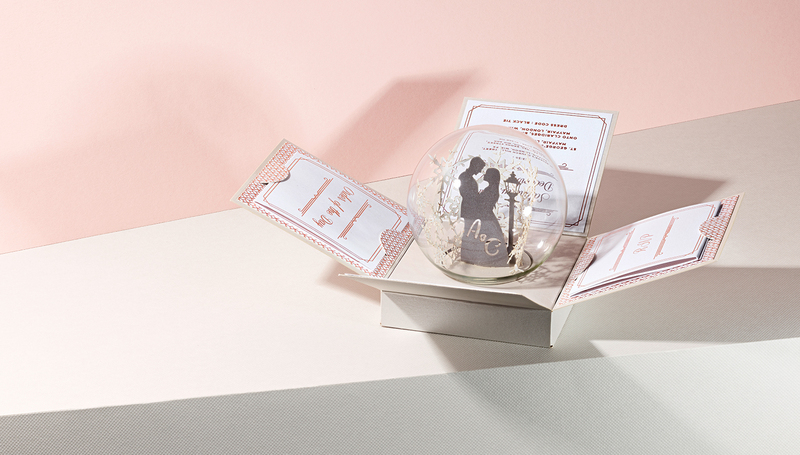 A winter wedding encapsulated within a glass snowglobe – this was definitely an invitation that guests would remember! Ari and Christie were keen to celebrate the fact they were having a wedding in London so close to Christmas. The centrepiece of the invitation became their little winter wonderland scene with the couple in the centre of twinkly snowfall on a London street. The styling of the rest of the invite incorporated a romantic art deco theme with inspiration from the reception venue, Claridges. Boxed invitation laser cut from Antalis Curious Metallics in Lustre and Ionised, with info panels and inserts from G.F.Smith Colorplan in Bright White. Wording and detailing foiled in rose gold. 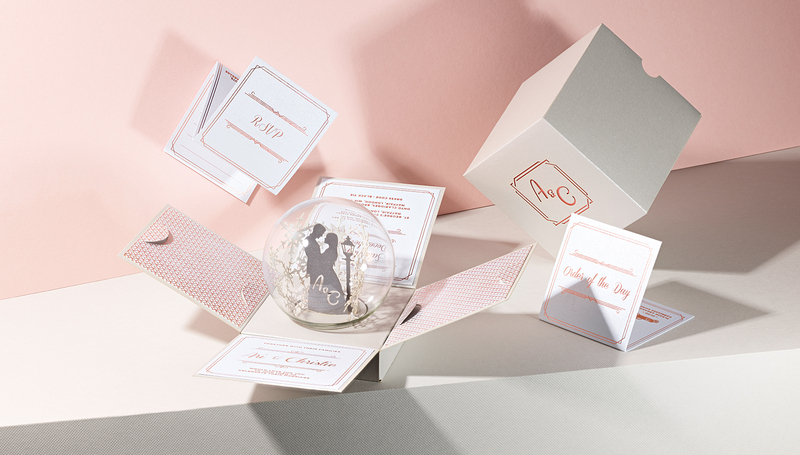 Snow globe scene intricately laser cut and created by hand and sealed within the boxed invitation.